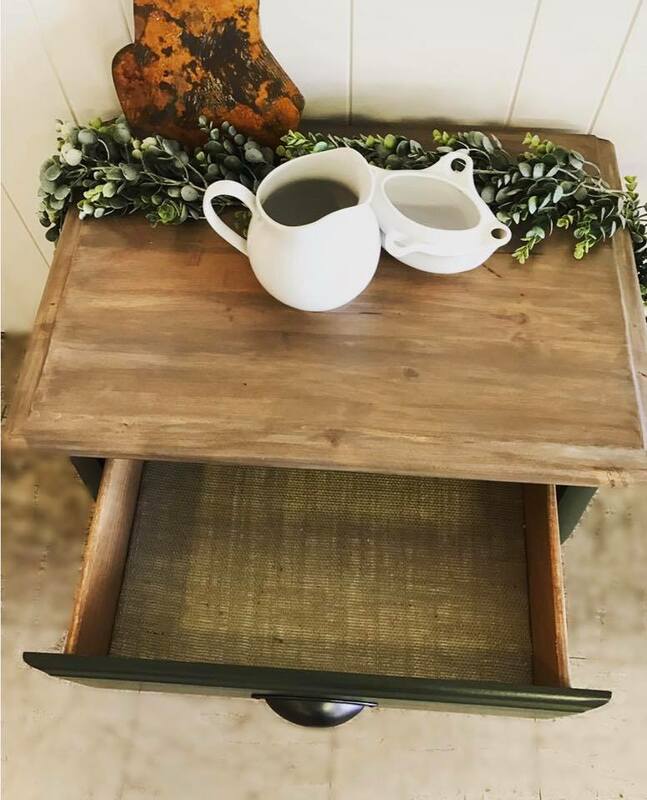 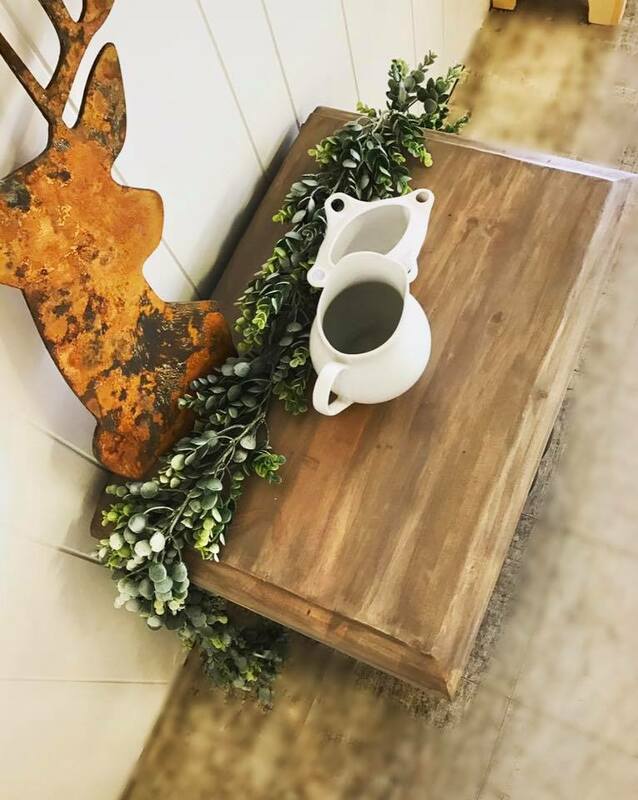 We love this cute, farmhouse-style end table by Flippotential Custom Finishes! 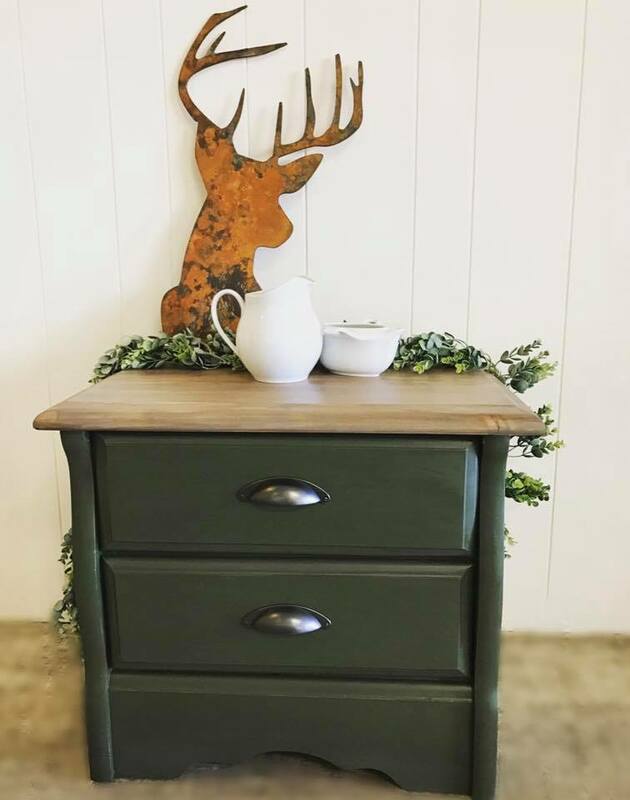 Cypress Green Milk Paint (discontinued color) was used to transform this project. 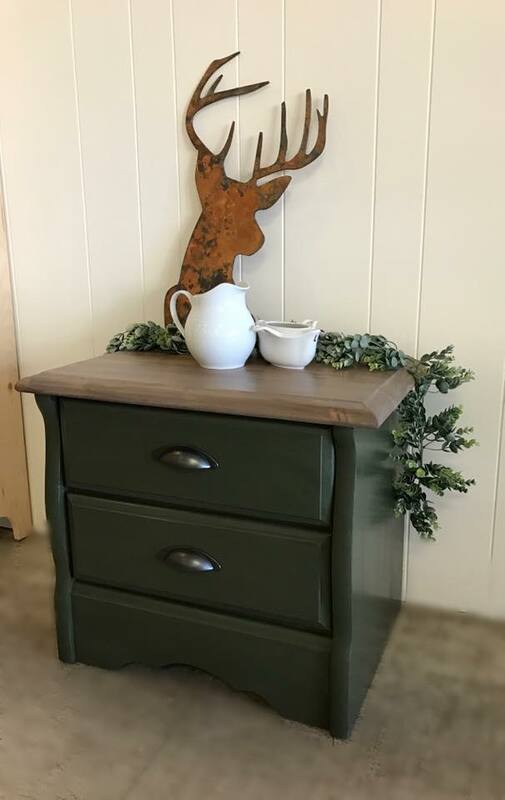 Cypress Green can be re-created by mixing 1 part Sunglow + 1 part Lamp Black Milk Paint.